Pope Francis’ widely anticipated post-synodal exhortation has been released. During a press conference in the Holy See Press Office this morning, the Pope’s Apostolic Exhortation Amoris Laetitia (Latin for ‘Joy of Love’) was presented. 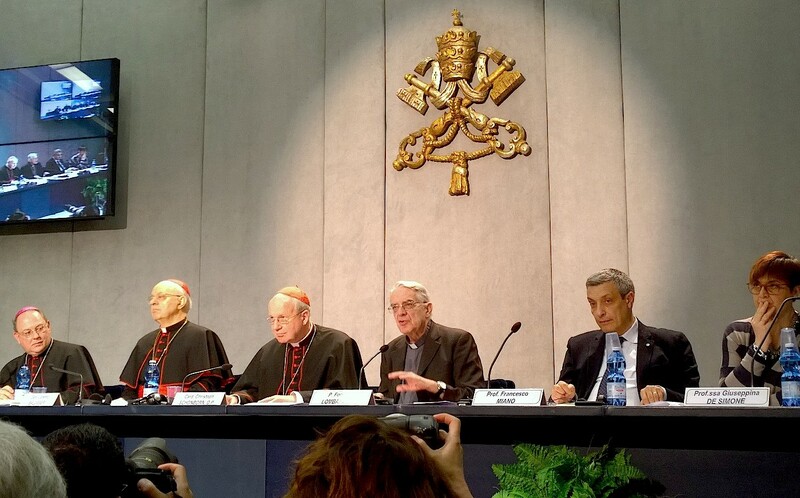 The panel presenting the document included Jesuit Father Federico Lombardi, director of the Holy See Press Office; Cardinal Lorenzo Baldisseri, general secretary of the Synod of Bishops; Cardinal Christoph Schönborn, Archbishop of Vienna; and the married couple Professor Francesco Miano, lecturer in moral philosophy at the University of Rome at Tor Vergata, and Professor Giuseppina De Simone in Miano, lecturer in philosophy at the Theological Faculty of Southern Italy in Naples. This 263-page document gathers the Holy Father’s conclusions, following the two synods dedicated to the theme of family: the Extraordinary Synod of 2014 and the Ordinary Synod of 2015. The Exhortation is made up of nine chapters, subdivided into 325 paragraphs with 391 notes and the final prayer to the Holy Family. The press conference was made available via live streaming on the site http://player.rv.va and will remain there, available on demand. Generally, popes write a post-synodal apostolic exhortation as a sort of conclusion to the discussions held in a synod. For example, Benedict XVI released in 2010 Verbum Domini: Post-Synodal Apostolic Exhortation on the Word of God in the Life and Mission of the Church and in 2007, Sacramentum Caritatis: Post-Synodal Apostolic Exhortation on the Eucharist as the Source and Summit of the Church’s Life and Mission. At the start of today’s press conference, Fr. Lombardi stressed how this was an extremely important press conference and this document has been widely anticipated. Cardinal Schonborn highlighted that the text of the Pope’s is readable, and encouraged everyone to not be dissuaded by its length, because within it one will find joy in its concreteness and realism. “Pope Francis speaks about families with a clarity that is not easy to find in the magisterial documents of the Church,” he said. This pervasive principle of “inclusion,” the Archbishop of Vienna acknowledged, clearly troubles some people. “Does this not favour relativism?” he asked. “Does the frequently evoked mercy not become permissiveness” Does there no longer exist the clarity of limits that must not be exceeded, situations that must objectively be defined as irregular or sinful? Does this Exhortation favour a certain laxity, a sense that “anything goes”? Is Jesus’ mercy not instead often severe and demanding? “‘We have also proposed a far too abstract and almost artificial theological ideal of marriage, far removed from the concrete situations and practical possibilities of real families,'” the cardinal said, citing the Pope. 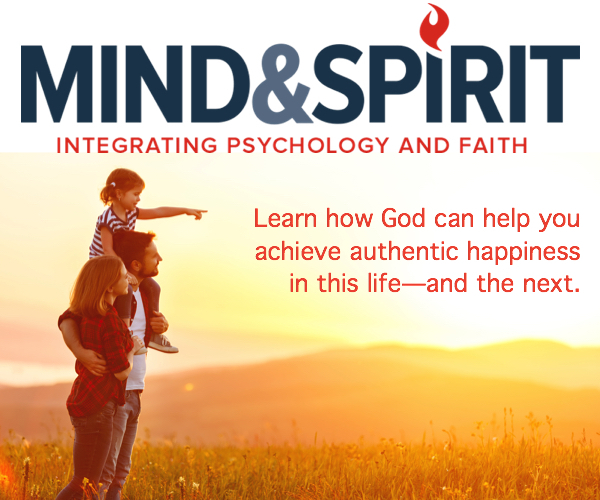 “‘This excessive idealization, especially when we have failed to inspire trust in God’s grace, has not helped to make marriage more desirable and attractive, but quite the opposite.” (AL 36). With regard to those who are divorced and civilly remarried, he states: “I am in agreement with the many Synod Fathers who observed that … the logic of integration is the key to their pastoral care. … Such persons need to feel not as excommunicated members of the Church, but instead as living members, able to live and grow in the Church and experience her as a mother who welcomes them always…” (AL 299). “But what does this mean in practice?” he asked. Cardinal Baldisseri pointed out that the exhortation made public today was signed by Pope Francis on March 19th, the Solemnity of Saint Joseph, and stressed that its release in the Jubilee of Mercy is significant, observing that its text refers to this three times, directly citing the Bull of Indiction Misericordiae Vultus six times. Pope Francis explicitly makes his own the declarations that both Synods presented to him: “the Synod Fathers reached a general consensus, which I support” (AL 297). “The Holy Father clearly affirms the doctrine of marriage and the family, especially in ch. III, and he proposes it as an indispensable ideal,” the Italian cardinal stressed. He also noted to whom and to what the document makes numerous references, including St. Thomas, St. Therese of Lisieux, his predecessors and their encyclicals, and the Catechism. In an era of global crisis in which families often suffer, the Exhortation takes a positive look at the beauty of married love and the family. The Bishop has the task of leading the people of God, following the example of Jesus the Good Shepherd who “calls his own sheep by name and leads them out” (John 10:3). Like any pastor, Pope Francis addresses his paternal care to the “immense variety of concrete situations” (AL, 300). Therefore, he says: “it is understandable that neither the Synod nor the Exhortation could be expected to provide a new set of general rules, canonical in nature and applicable to all cases” (ibid). From the perspective of fulfilling the ideal of marriage, the Exhortation has put great emphasis on the preparation of engaged couples for the sacrament.